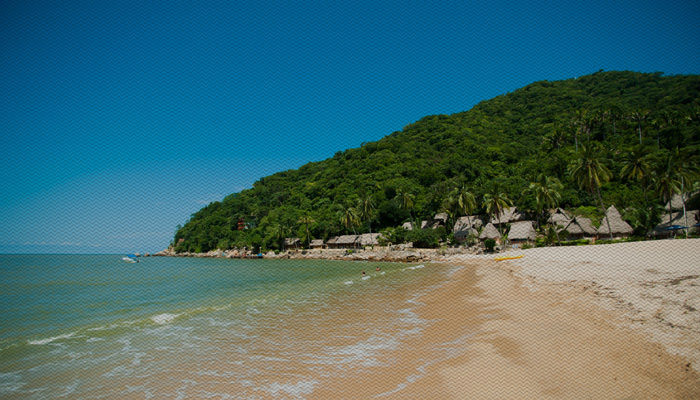 Join us in the lush jungle on the Pacific Coast of Mexico, for an inspiring Yoga Teacher Training Retreat. Immerse deeply in the Ashtanga Yoga practice in this teacher training intensive developed by Caroline Klebl. Her yoga teacher training program meets the 200 & 500 hour international Certification standards of the Yoga Alliance. An Ashtanga Yoga Teacher Training Manual will be supplied to each participant. To those who attend all scheduled classes, a 200 hour Yoga Teacher Training Certificate will be issued, at the end of the course. Returning students and those who have already completed a 200 hour Yoga Teacher Training will receive a 200 hour Advanced Training Certificate, towards 500 hour Certification. Each week throughout the retreat there will be one day off. You will have time relax on the beach, receive spa treatments, go hiking, snorkeling, paragliding, horseback riding, kayaking, whale watching and go on guided excursions to secluded waterfalls or offshore islands. Accommodation will be provided in spacious ocean view cottages with private bathrooms. The 200 hour Yoga Teacher Training Course, three gourmet vegetarian meals per day and accommodation at Hotel Lagunita. To reserve your space, please pay the $500 US deposit. The closest International Airport is the Puerto Vallarta International Airport (LIR), which is a 35 minute drive and 30 minute boat ride to Hotel Lagunita. Hotel Lagunita will arrange for airport transfers from the Puerto Vallarta International Airport. A passport with at least 30 days validity is required to travel to Mexico. A visa is not required and one can stay up to 180 days. This course will take place at Hotel Lagunita, on a pristine beach surrounded by a lush jungle on the south shore of Banderas Bay, near Puerto Vallarta, Mexico. The hotel includes a restaurant, which specializes in vegetarian cuisine, accommodation in spacious cottages and a beautiful Yoga hall, which overlooks the ocean.